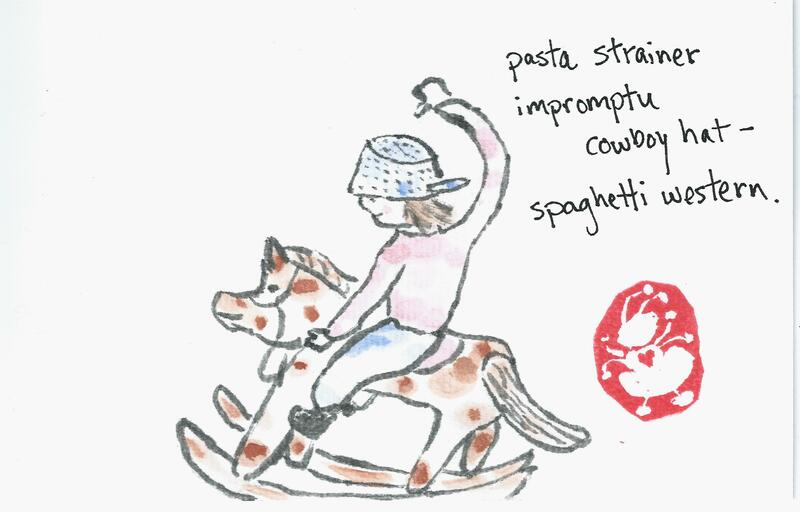 A silly little haiku for one of the early prompts, “pasta”, for NaHaiWriMo. There’s a story behind the haiku — it involves me as a kid, a strainer, and a rocking horse. There is photographic evidence. I will say no more.